Thank you for being a Cake & Success Group Moderator! Approve/Delete Member Requests (OPTIONAL) with legit businesses and filled out the entire request questionnaire. Be helpful and support inside group! Request to remove a member from the group. Intervene group situations - Keeping the Group Integrity in tact. Officailly kick Group Members out the group. If a conversation gets out of hand, turn off commenting. No need to explain why unless you want to inside the post. Just turn off commenting and keep it moving. If you aren’t sure if a post is allowed, just keep it in the pending area and I (Kristina) will decide if it’s approved or deleted. ❌ No need to engage in private PM conversations with group members about why a post wasn’t approved, deleted, or dismantled. Have them contact: kristina@cakeandsuccess.com. 🤔 If you aren’t sure about anything, just send a PM to the group moderators and we will help you out! If you have a suggestion for the group, just send a PM to the group moderators! 👉🏽 I (Kristina) do not have Facebook PM on my mobile device. I can only see my private messages when I am on my desktop. 😧 If you feel like you may be in the position as the bad guy in the group, get me involved. I have no problem being the bad cop. All cakes must be posted on the group cake threads going forward. Do not approve photos of cake orders unless it is on the weekend cake thread. Week threads are coming, keep you posted. No Complaining, no rants, no dissing business, no complaining about customers. Pricing Questions of any kind. Even if it says, "This isn't a pricing question." when it is a pricing question. Any Posts with Customer’s Name. 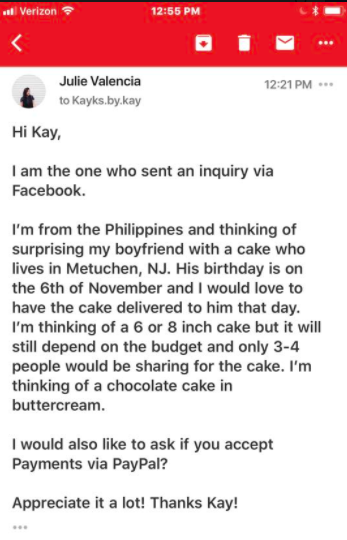 Making fun of other businesses or cakes. No Spamming the group with multiple cake pics back after back. No Like Ladders. Like/follow my page and I'll like/follow yours. Shared from Biz Page. No comment to promote engagement. Like button at the bottom.